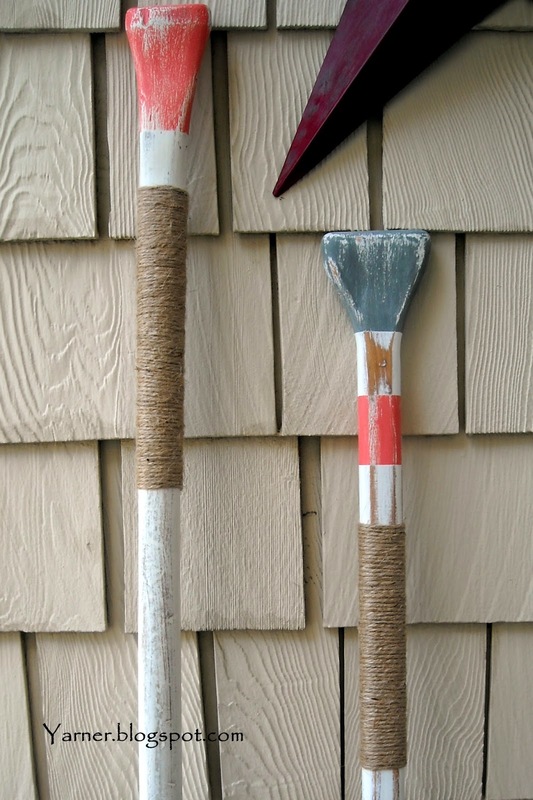 I've always loved wooden oars. 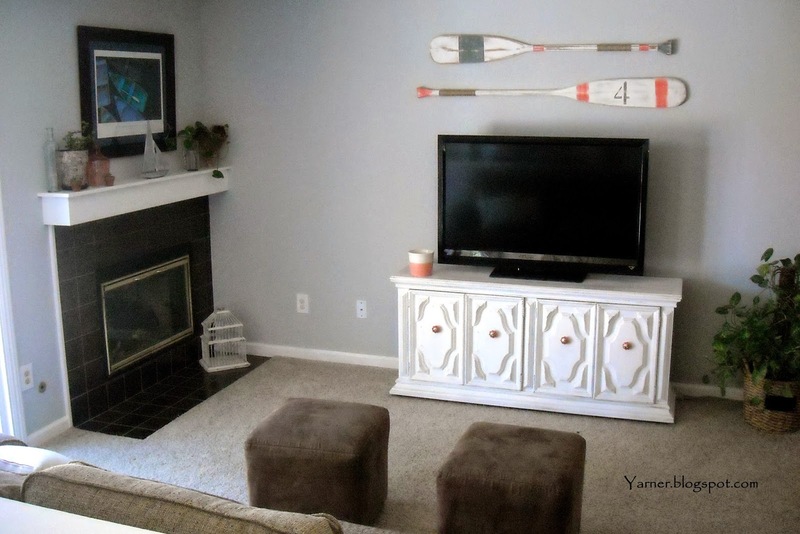 So when I saw all the cute painted oars on Pinterest, I knew I wanted to paint a couple to put over our TV. 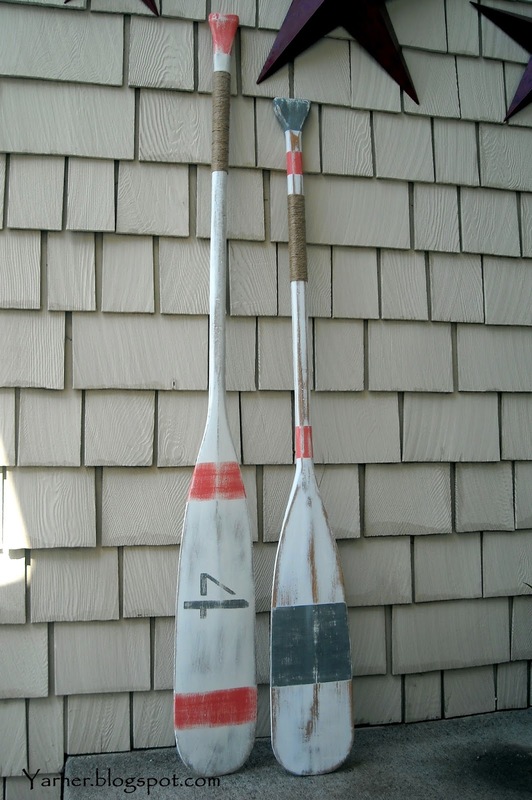 I found both of these oars at antique stores. One was $10 and the other was about $15. I didn't care if they were exactly the same. I just looked for two that were similar. 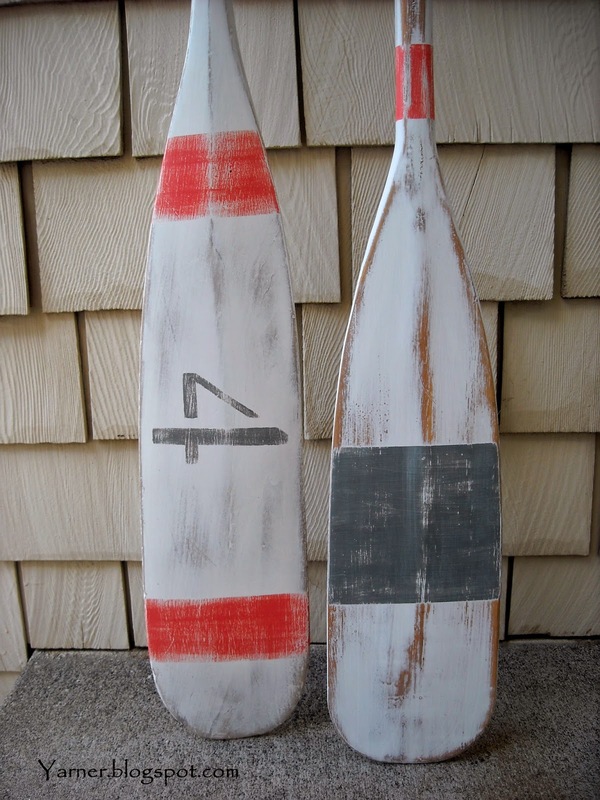 I painted two coats of white with Annie Sloan Chalk Paint, then taped off different areas with painter's tape. I used acrylic paint from Michael's for the stripes and number. Then distressed everything once they were dry. They were still a little boring to me, so I used some thin jute twine I found in the garage. I held it in pace with tape until I had it where I wanted it. Once it was in place, I used a little hot glue on the ends to hold it down. I added triangle hooks on each end so I could hang it on the wall. Love the way they turned out! And it only took me an afternoon to finish the whole thing. These are both so very cute. Thanks so much for sharing them at my Show and Share Party. What a fun summer look! Love the addition of the twine! How did you distress them?